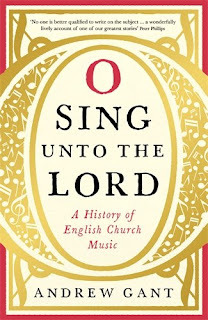 O Sing unto the Lord by Andrew Gant, on Profile Books, is described on the cover as a history of English Church music, and it is just that. Gant takes the story from the very beginnings, when we know very little, through the medieval period, the glory days of Tudor polyphony, the Reformation and the founding of the Church of England right through to the present day. 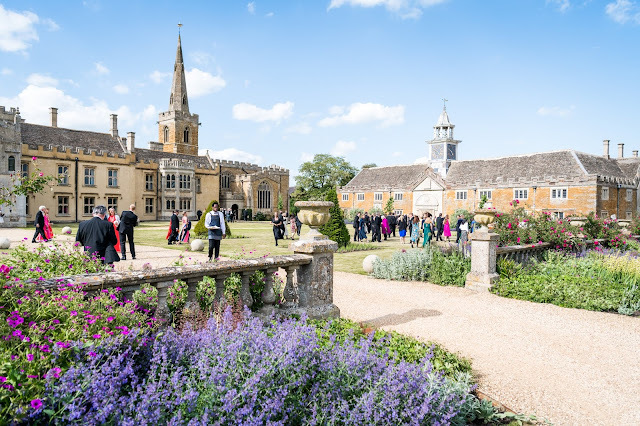 Gant is well placed to write the book, he is has directed the choirs of The Guards' Chapel, Worcester College, Oxford, and Her Majesty's Chapel Royal, as well as lecturing in music at St Peter's College, Oxford and finding time to compose. Gant takes a roughly historical approach to the subject, starting at the beginning and finishing off with the present day. In his Preface he talks about the way that church music is embedded in the British psyche, with football fans singing chants to the music of hymns. But the subject is too huge to be comprehensive, and within each time period, Gant concentrates and certain key individuals and events, to create an image of the whole. The big advantage of the book is that is is certainly not simply a brisk canter across the great names of British church music. Gant has a real interest in what everyone was doing. Up to the events of the Reformation this is relatively straightforward as the smaller abbeys and priories emulated the larger ones. But after the Reformation there is a fracturing, and here Gant reflects this. For each era he looks at the Chapel Royal and the great names, but then casts his eye over the cathedrals and then the parish churches. One of the biggest fascinations for me was the remarkable detail which he evokes for the music in parish churches. 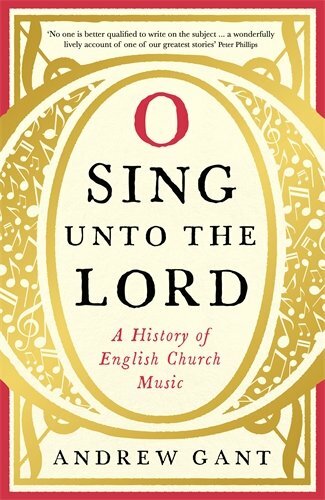 Reading this book, you start to realise that the image of Anglican Church music that we have, hymns, psalms done mainly to Anglican chant, and sung masses, was very much the creation of the Victorians. Gant brings out large chunks of social history with discussions about the various metrical psalms and how they were sung by congregations, and I was fascinated to discover that 17th and 18th century metrical psalm singing in ordinary parishes would have been more akin to Salm, the Gaelic psalm singing of the Scottish church where a leader starts and the congregation joins in, each at their own pace. The other fascinating history is the long drawn out process by which Anglican cathedrals finally get to what we think of as Anglican chant. The book is full of gems like this, and what makes it a complete delight is that Andrew Gant makes it an engaging read. It could have been quite dry, but instead he has turned his erudition into a lively yet informative narrative, mixing the foibles of individuals with the politics and details of the pieces actually being performed, Music and individual pieces are mentioned, and there are musical examples too. 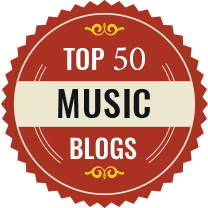 It is clear from Gant's comments that he knows the music to which he refers (even the obscurer ones). Often we get little side-comments which enjoin choirs to explore a particular repertoire or particular composer more. I would have liked more about the non-Anglican denominations in the 18th and 19th centuries. We don't get a lot on non-conformist music pre-Wesley and there is a throwaway comment about John Wesley taking tunes from Moravian hymns without explaining. Another lacuna in this area is 18th and 19th century Roman Catholic music. S Wesley's Latin church music gets a mention, but without any background of the churches for whom it was written. Similarly the late 19th century and early 20th century development of suitable repertoire for the revived Roman Catholic hierarchy in the UK is almost absent until RR Terry commissions the Mass in G Minor from RVW. The composers in this period are certainly not great ones, neither the Mass of Our Lady of Willesden nor Rev Turner's Mass of St John the Baptist are prime works but they represent a genuine attempt to provide music for the Latin mass suitable for ordinary parishes. Gant's final thoughts are relatively up-beat. 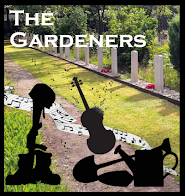 This is an engaging and uplifting book, anyone who comes into contact with church music will enjoy it, as will those interested in a little background to works encountered only in concert or on CD.